Aya and her company, Bon Goût Music, are hosting the festival to connect Singapore and Japan’s independent music scenes, with the aim of developing larger and stronger community across the border. The performances will take place on 19 Nov while the 18th sees talks, discussions and networking opportunities in the Super Indie Talk & Discussion + Workshop at Blu Jaz Cafe. Tickets for the main show on 19 November are going at S$47 for standard tickets and $176 for a bundle of 4 passes. All passes include one free drink. Get your tickets here. 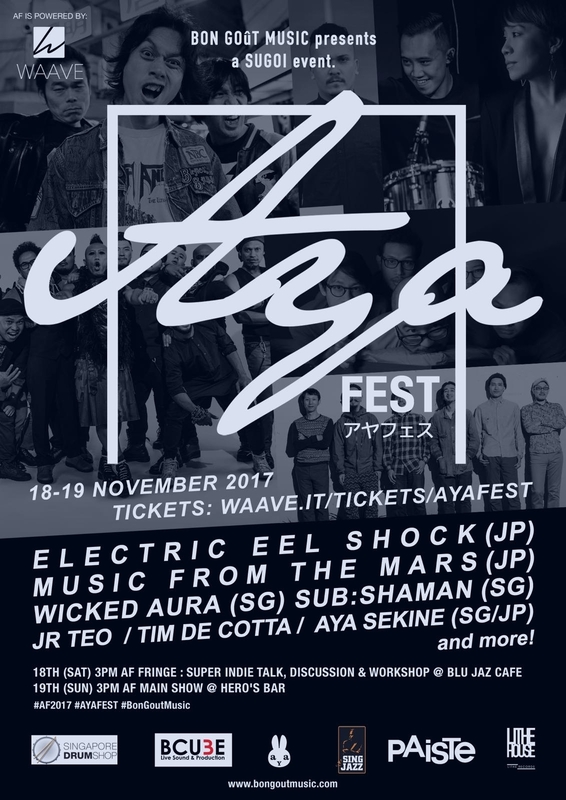 The AYA Fest main show will take place from 3:30PM to 9:30PM on 19 Nov at HERO'S (69 Circular Road).